'Start Here': Virginia Democrats under fire, payday lenders catch a break, a marijuana-linked health fad. What you need to know to start your day. It's Thursday, Feb. 7, 2019. Let's start here. Virginia's top three government officials are embroiled in deepening scandals that have thrown the state's Democratic Party into chaos. Gov. Ralph Northam is under pressure to resign over a racist photo from his medical school yearbook, Lt. Gov. Justin Fairfax has been accused of committing sexual assault in 2004 and Attorney General Mark Herring has now revealed he wore blackface at a party in the 1980s. Herring wrote in a statement on Wednesday that he's "deeply, deeply sorry" for dressing as rapper Kurtis Blow and "the shame of that moment has haunted me for decades." 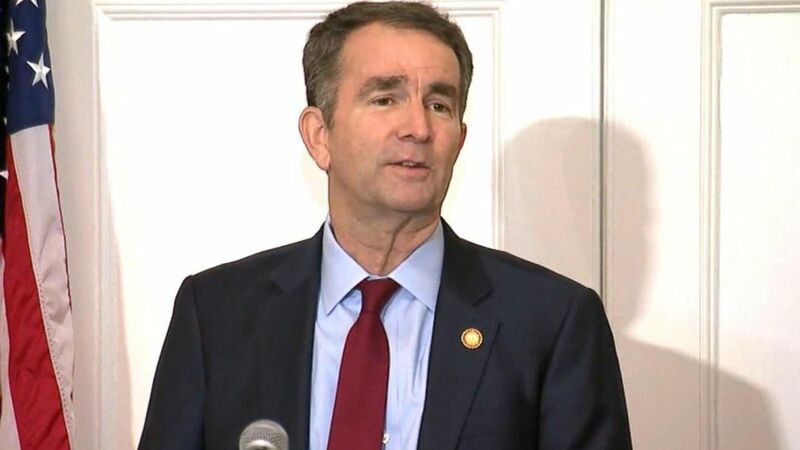 Northam, meanwhile, denied that he appeared in blackface or as a Ku Klux Klan member in his 1984 yearbook photo, but admitted he once "used just a little bit of shoe polish" as part of a Michael Jackson costume. Fairfax, who'd replace Northam if the governor heeded calls from his own party to step down, released a statement addressing the sexual assault allegation, calling the encounter consensual: "I wish her no harm or humiliation, nor do I seek to denigrate her or diminish her voice. But I cannot agree with a description of events that I know is not true." Will any of these men resign? ABC News Chief National Correspondent Tom Llamas and ABC News Political Director Rick Klein help us navigate through the turmoil. On Wednesday, the House Intelligence Committee, chaired by Democrat Adam Schiff, voted to send transcripts of Russia investigation interviews to special counsel Robert Mueller. The transcripts, which include more than 50 interviews the committee conducted in its investigation of alleged ties between Trump campaign officials and Russia, could be used by Mueller in possible perjury prosecutions. ABC News' John Santucci and Katherine Faulders explain the significance of the move. 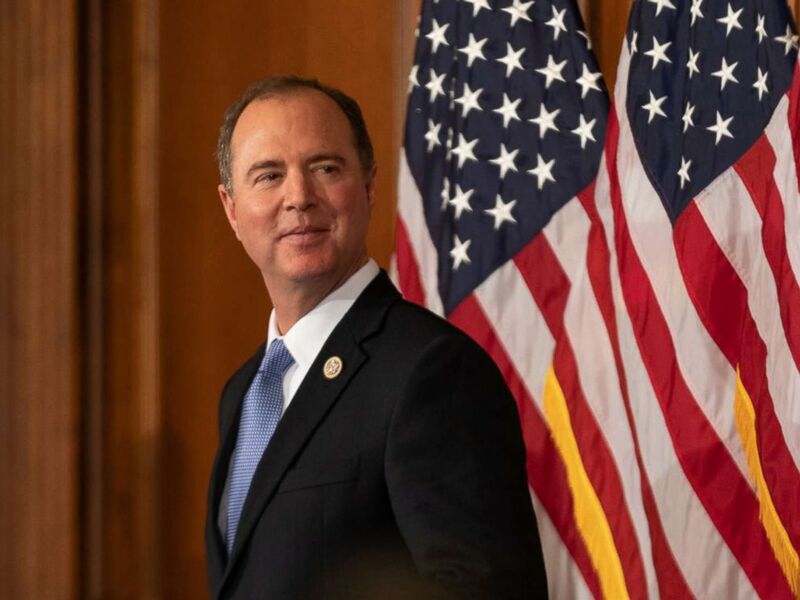 Rep. Adam Schiff participates in a ceremonial swearing-in ceremony on Capitol Hill in Washington, Jan. 3, 2019. The Consumer Financial Protection Bureau is beginning to roll back regulations on payday lenders, scrapping an Obama-era rule set to go into effect later this year that would require lenders to assess whether borrowers actually could repay the loans. "This is something," ABC News' Anne Flaherty tells us, "that the Trump administration has said, 'Well, we think it's government overreach.'" 4. You down with CBD? Cannabidiol, or CBD, a component of marijuana, is among the latest health fads to hit the market. It won't make you feel high, because it doesn't contain THC, and advocates of the substance promise it helps alleviate arthritis pains and anxiety. But states are cracking down on CBD oil and there's still a lot we don’t know about the compound. Dr. Yasmin Hurd, a neuroscientist who studies addiction at Mount Sinai Hospital, gives us a lesson. "CBD has a wide safety window, meaning that people have taken high concentrations of CBD and not shown adverse effects or serious adverse effects," she tells us. "The problem is that we don't know that much about all of its properties or its interactions with potential medications that people might take." 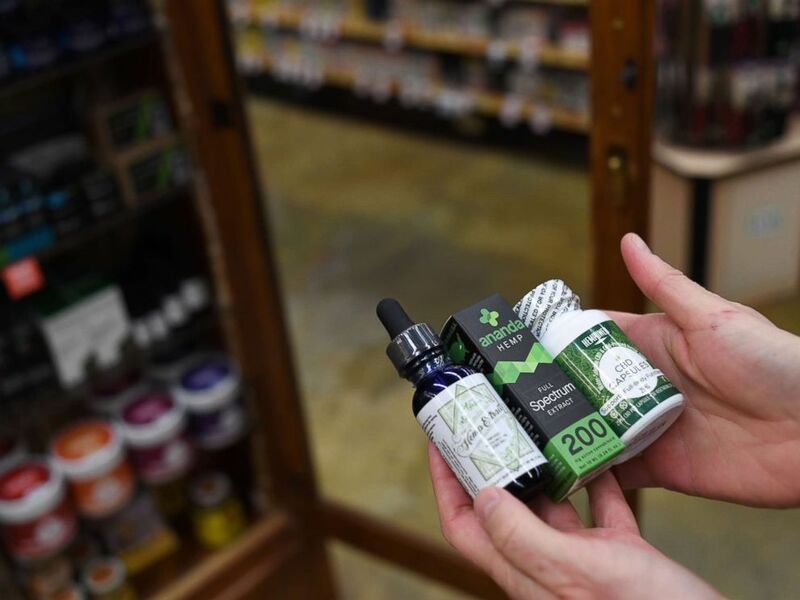 CBD oil is seen in a store, Dec. 4, 2017, in Boulder, Colo.
'That's not true': The father of a student gunned down at Marjory Stoneman Douglas High School disagrees with a congressman who claims illegal immigration is responsible for more violence than lax gun laws. 'The Trump administration chooses to mock science and mislead the public about what our country will look like if we do nothing': The last five years, according to government scientists, are the warmest in recorded history. 'David Malpass is a Trump loyalist who has committed economic malpractice on a wide range of topics, from dismissing the first signs of the 2008 global financial crisis to flirting with the abolition of the IMF': The president's pick to run the World Bank is criticized. 'I would expect at some point in time we're going to ask for the president's tax returns' House Democrats take the first step. About bloody time: Emoji update includes symbol for women's periods. Goodbye, Dead Puck Era: Scoring is up in the NHL. But why? Controversies surrounding Virginia politicians and Liam Neeson reignite discussions of racism: It's Black History Month, and conversations about wearing blackface and an actor's plan for revenge on a black man showcase a nation still struggling with its past. 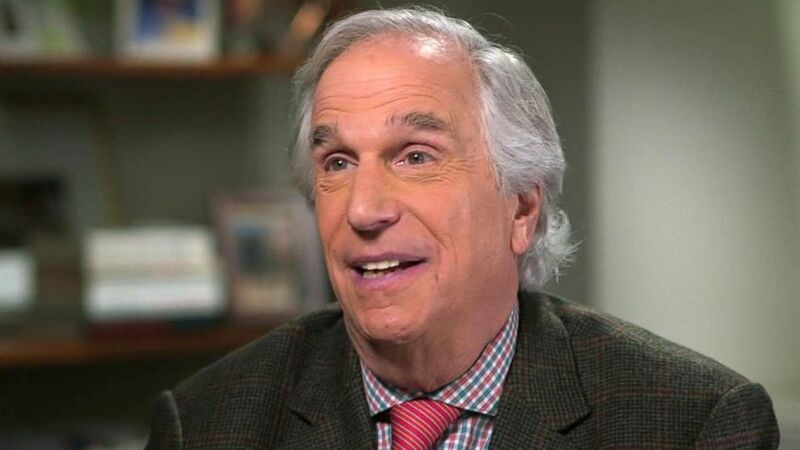 Henry Winkler on reinventing himself after Fonzie: The Hollywood icon discusses his journey from overcoming dyslexia on the set of "Happy Days" to getting behind the camera, authoring books and working on his latest project, "Barry." 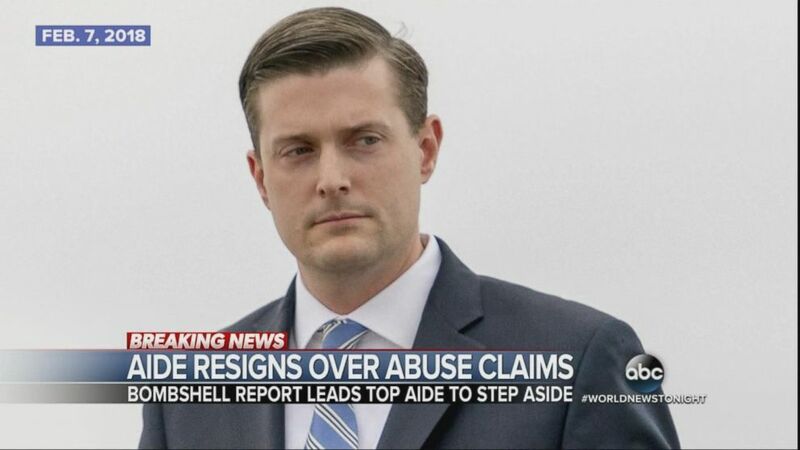 Feb. 7, 2018 -- White House aide Rob Porter resigns after abuse allegations by ex-wives. 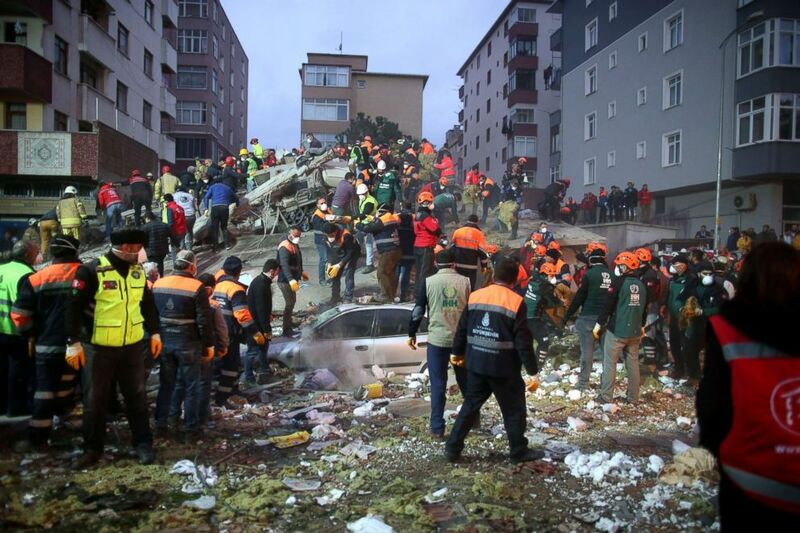 Rescuers work at the site of a collapsed building in Istanbul, Feb. 6 2019. According to initial reports, at least one person was killed and several remained missing under the rubble after the collapse. 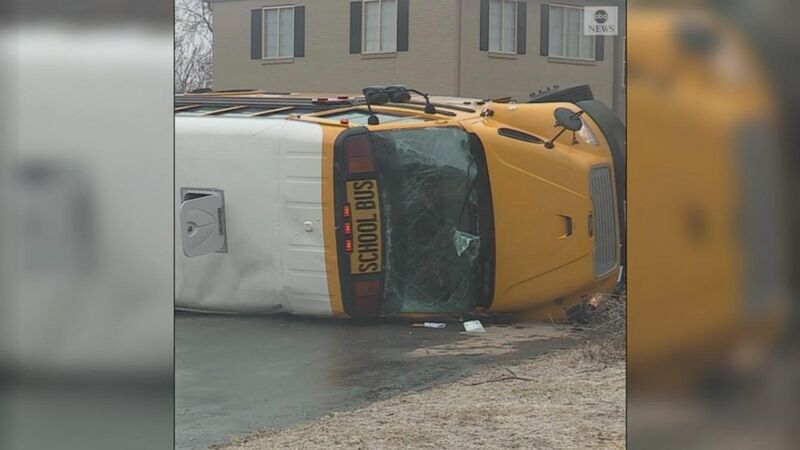 Three students suffered minor injuries when a school bus overturned on an icy road in Kansas City.